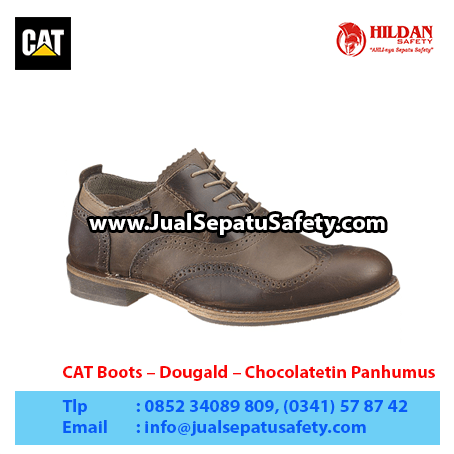 Detail Produk "CAT Boots Dougald Chocolate/tin Pan – Sepatu Caterpillar Malang"
No one has ever become a Legend without first taking a risk. The Dougald’s midnight blue upper mixed with its full grain leather make a bold statement in this classic Americana look. The Dougald is part of the top of the line Legendary Raw Collection that is known for quality and style. These boots are perfect for any wardrobe because of their style that can stand the test of time.